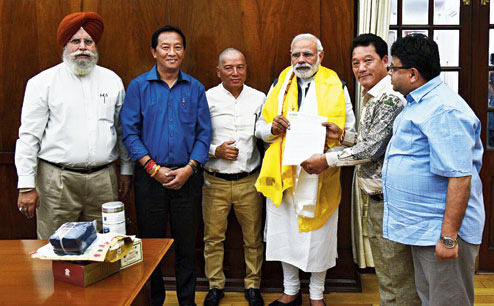 The Gorkha Janmukti Morcha claimed Prime Minister Narendra Modi today expressed his "commitment" to start the process of creating a separate state of Gorkhaland. Gurung today said the Morcha delegation reminded the Prime Minister about his statement and told him "it was time to fulfil the dreams of the Gorkhas". I appreciate his work concerning the benefits for people of hills through ST demand but I also suggest him to have transparency with the people about Gorkhaland. Else it will be like a mother trying to convince her son to have cookies by showing him a vision of Disney Land. "Janta are not children. We know the difference between a cookie and Disney."